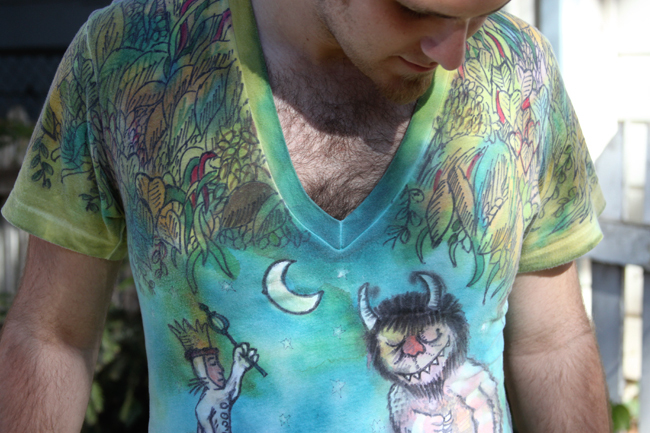 Here's the rest of the holiday gift I made for my boyfriend, the king of the Wild Things! 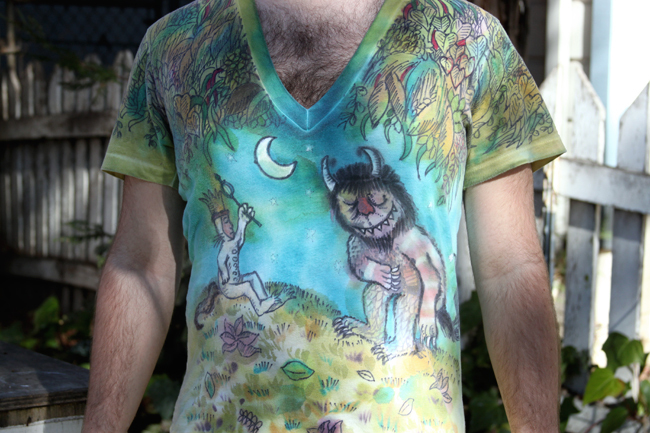 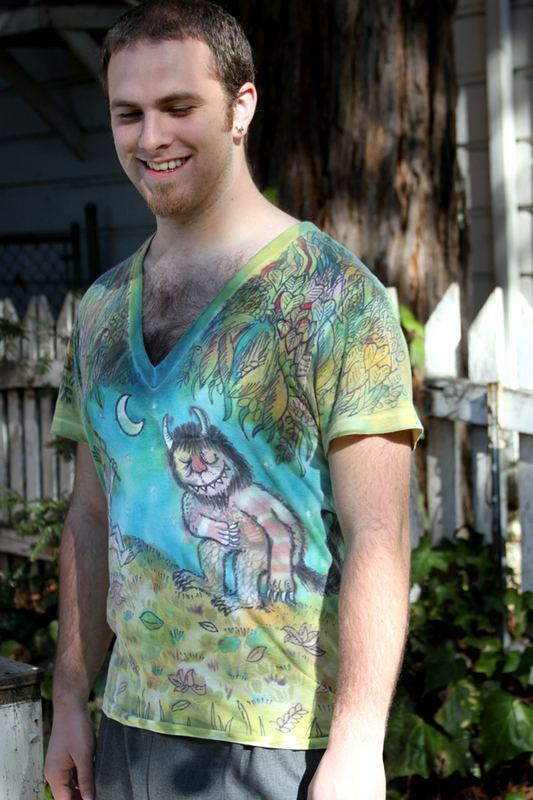 This is a cotton American Apparel t-shirt hand-painted with silk paint, fabric markers, and acrylic. 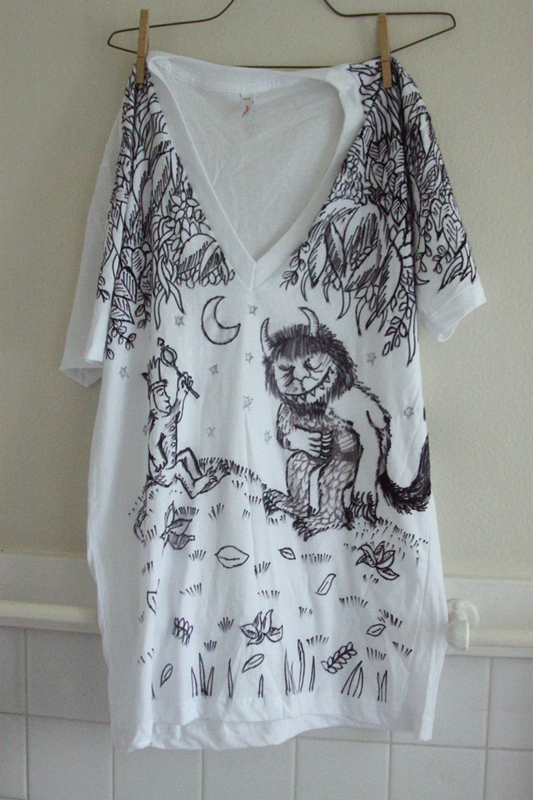 Below you can see the shirt with the marker drawings, before I painted it in color.